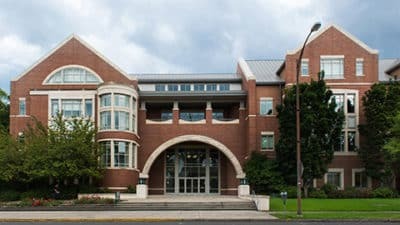 CLDC PIELC Panels and Party 2019!! 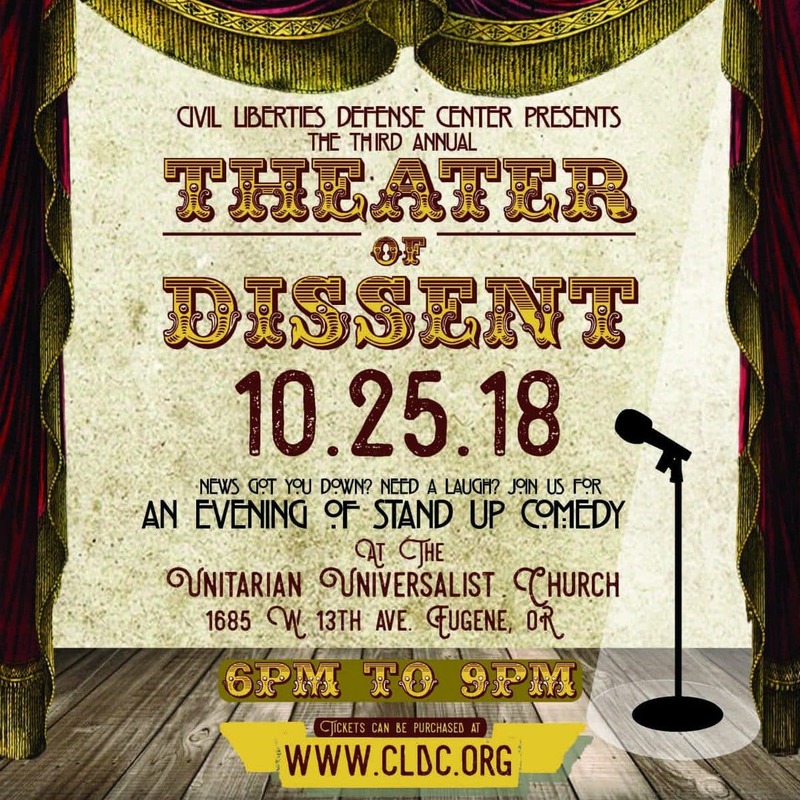 We will be host our first annual "Theater of Dissent" on Thursday, October, 27th. 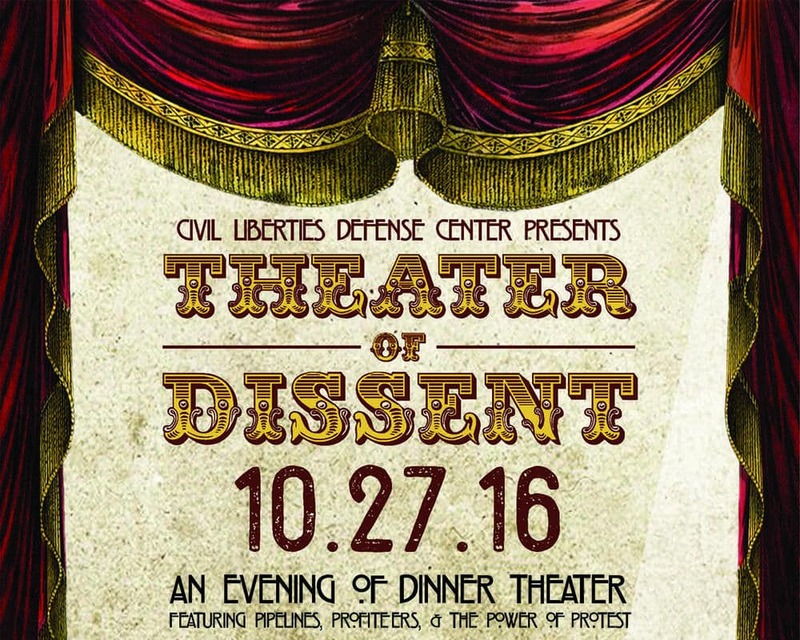 Theater of dissent is a dinner theater/mock trial benefit dinner. 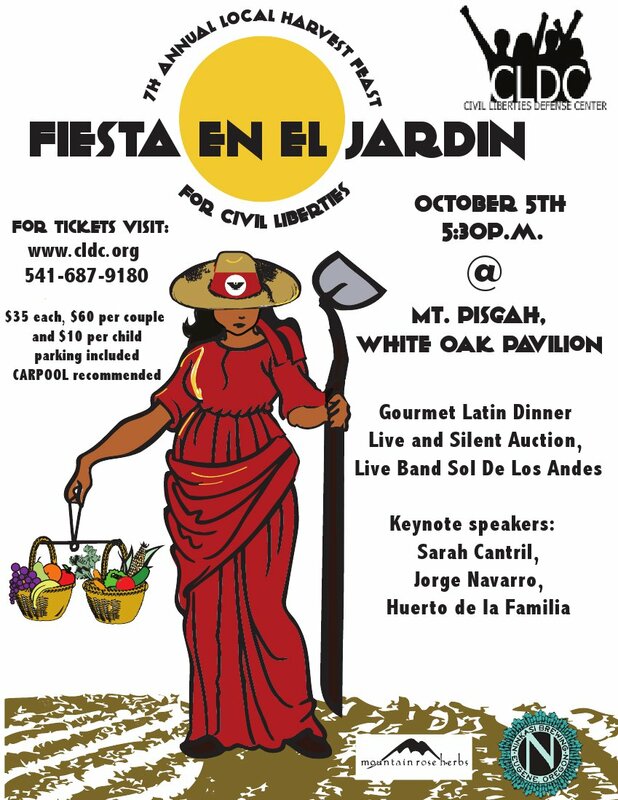 Buy Your Tickets to the 7th Annual Harvest Feast on October 5th! 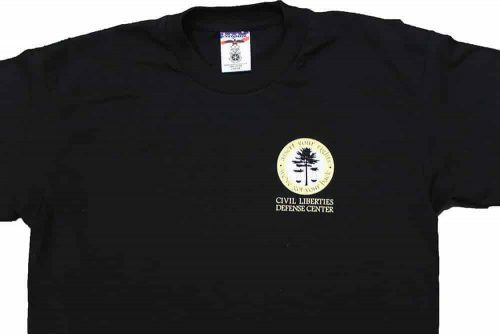 7th Annual Local Harvest Feast For Civil Liberties at Mt. Pisgah. 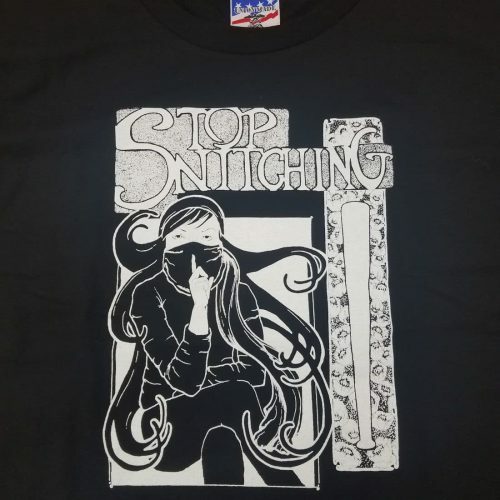 A speaking tour about long-term anarchist prisoner support, taking a close look at the cases of Eric McDavid* and Marie Mason. Multimedia presentations about the cases of Eric and Marie! 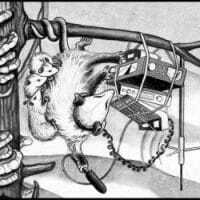 A discussion about long-term anarchist prisoner support! 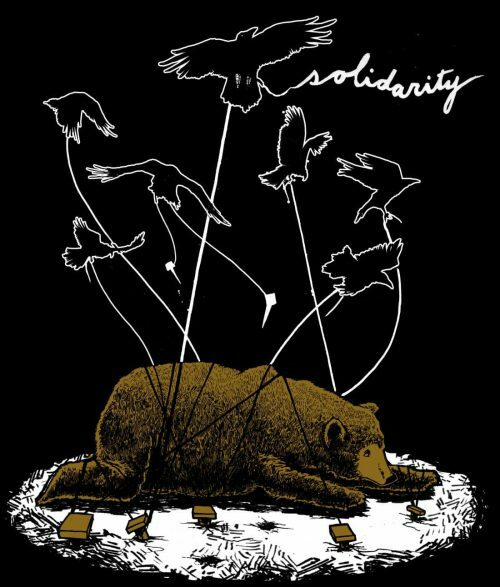 Strategies to build stronger cultures of resistance! Security/culture: v.2012 - now with extra tech! Rockstar guest speakers! Rage and love! 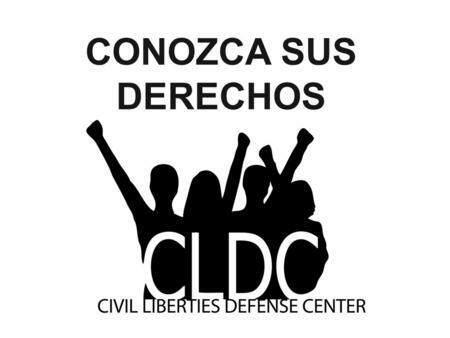 Occupy Eugene, in collaboration with the Civil Liberties Defense Center, presents a multi-week organizer training series for social justice activists. 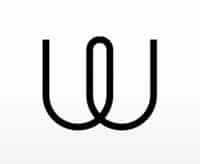 Come learn everything you need to know to be a strategic, confident organizer! Live streaming will allow folks to participate remotely. 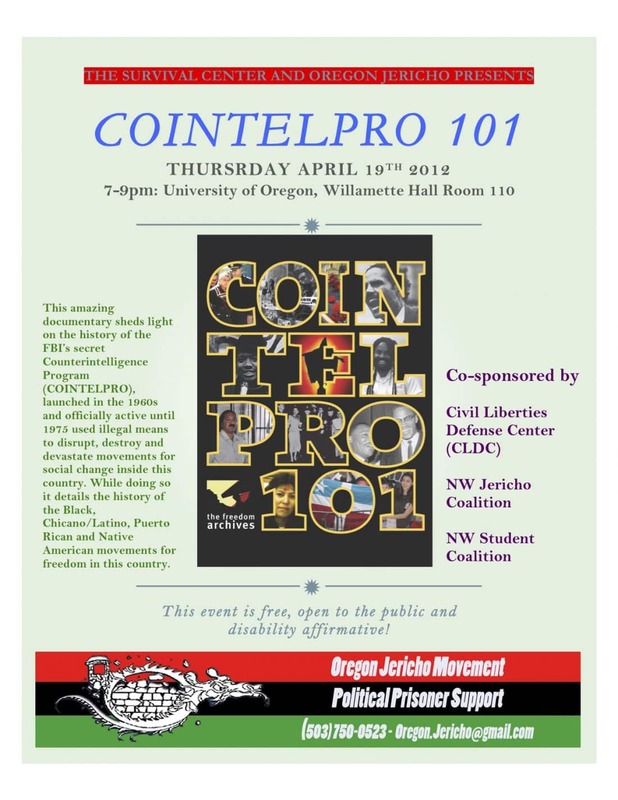 Come out and watch a free screening of this amazing documentary “COINTELPRO 101” about the secret and illegal FBI programs spearheaded by J Edgar Hoover that attacked the Puerto Rican Independence movement, Black Liberation movement and many other progressive movements for social change in the 60’s and 70’s. 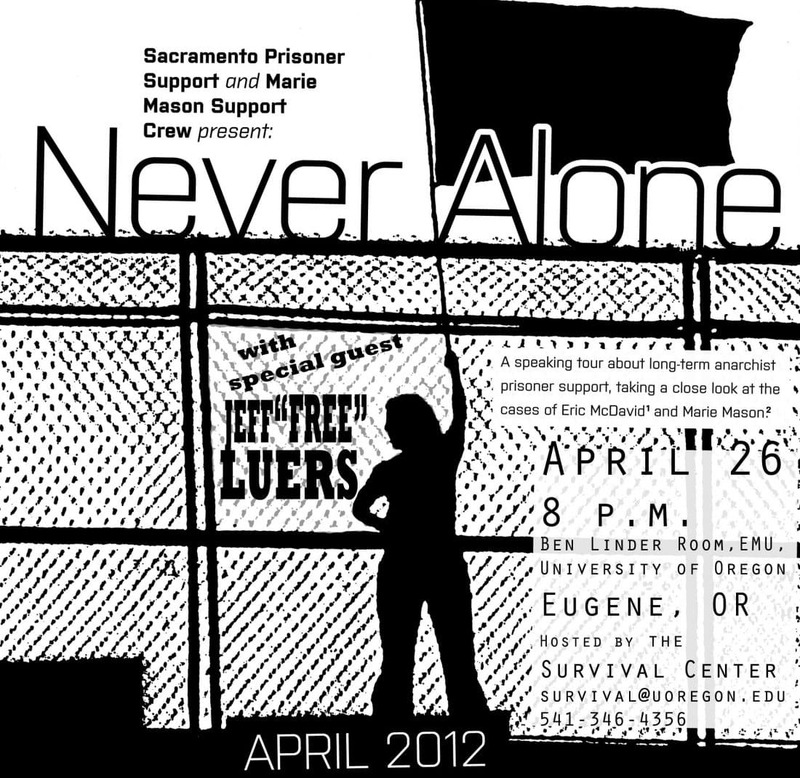 Oregon Jericho will give a presentation about the historical and contemporary manifestations of these programs.